The Children’s Cause for Cancer Advocacy annually presents the Leonard M. Rosen Memorial Research Award of $10,000, to an individual who has made an outstanding contribution to childhood cancer policy and advocacy. This Award honors Leonard Rosen’s many years of service on the Children’s Cause for Cancer Advocacy Board of Directors, as chairman and founding member. Leonard was the proud grandfather of a child treated successfully for cancer. He was a brilliant and astute advocate, who worked to advance research and regulations that could improve the effectiveness of childhood cancer therapies. 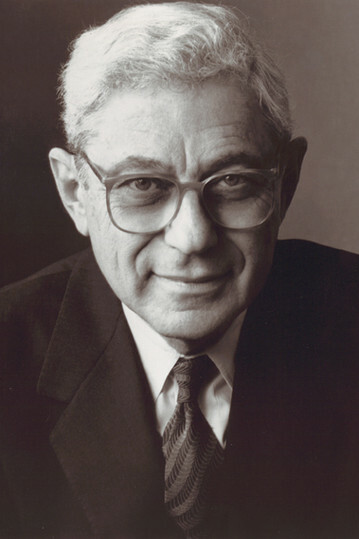 Leonard was a founding partner of Wachtell Rosen Lipton & Katz, a prominent New York City law firm. In tribute to his legacy, the Rosen Award is granted annually to an individual who has made an outstanding contribution to childhood cancer policy and advocacy, recognizing the importance and unique challenges associated with the care and treatment of children with cancer. Contribute toward this fund here. Dr. Rowland was formerly the Director of the Office of Cancer Survivorship at the National Cancer Institute, and she is widely recognized as a national and international scholar, researcher and leader in the psychosocial aspects of cancer care broadly and cancer survivorship specifically. Dr. Kesselheim is Director of the Program On Regulation, Therapeutics, and Law (PORTAL) at Brigham and Women’s Hospital, and Associate Professor of Medicine at Harvard Medical School. Dr. Kesselheim was selected for the second annual presentation of this award in recognition of his critical research advancing treatments and access for children battling cancer. His work in the legal and regulatory fields of drug development and approval, as well as insurance coverage and reimbursement practices, informs and supports the policy efforts of Children’s Cause and childhood cancer advocates. Dr. Kesselheim is also a faculty member in the Harvard Medical School Center for Bioethics and an Irving S. Ribicoff Visiting Associate Professor of Law at Yale Law School. In acknowledgment of the Award, Ms. McCabe initiated a guest lectureship at MSK focused on the ethics issues related to the development of new therapies for children including the issue of informed consent and specimen banks, novel clinical trial design, and how best to include children in the hoped-for benefits in targeted therapies. "The CCCA Board is particularly gratified to present Mary with this, the first annual Rosen Award, in recognition of her long-standing contributions, passion and dedication to the needs of pediatric cancer patients, families and survivors," said Susan L. Weiner, PhD, Founder of Children's Cause.